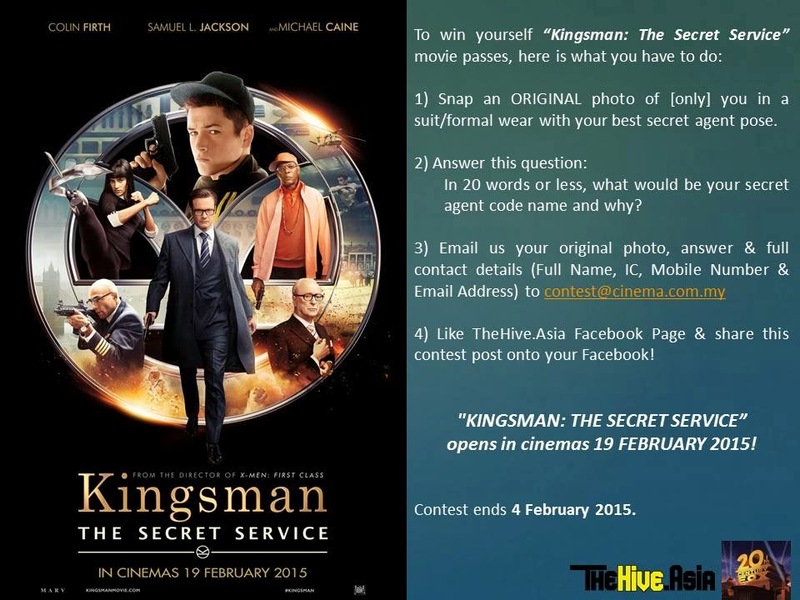 Home / contest / kingsman / movie / Win “KINGSMAN: THE SECRET SERVICE” Movie Passes! 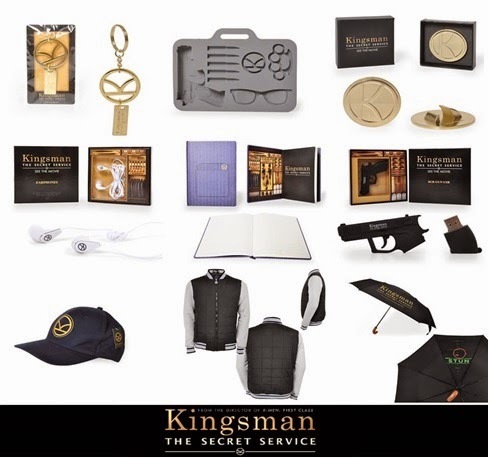 Win “KINGSMAN: THE SECRET SERVICE” Movie Passes! Based on a comic book by Mark Millar, this British spy film follows a veteran agent Harry Hart (Colin Firth) working for an independent international intelligence agency operating at the highest level of discretion who then takes in a younger colleague under his wing into a world of espionage. 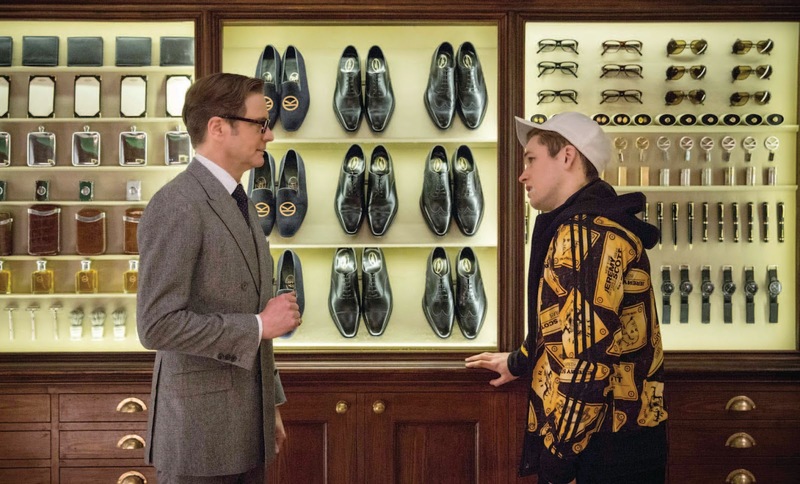 The new protege is Eggsy (Taron Egerton), who is a little rough around the edges and this too includes his manners. movie premiums to giveaway! Simply read the instructions and answer the questions below! "Kingsman: The Secret Service" will have a nationwide special sneak on the 13th to 15th February 2015. 1) All entries must reach us by 5 February 2015 (Wednesday) at 3pm. 2) Notification of winners will be published on TheHive.Asia website and TheHive.Asia Facebook on 5 February 2015 (Thursday) from 4pm onwards. 3) Kindly submit your answers complete with your contact details (Full Name, I.C Number, Phone Number & email address) to contest@cinema.com.my . 4) It is the participant’s responsibility to ensure that all contact details are complete and accurate. 5) Only one entry per person is allowed and multiple entries will result in an entrant being disqualified. 7) TheHive.Asia reserves the right to reject or disqualify any photos that are not original or does not belong to the theme. 8) Judge’s decision is final. No correspondence on winner selection will be entertained. 9) All prizes can be redeemed on the screening day. 10) Prizes not collected within the stipulated redemption period will be forfeited. 11) Prizes are not exchangeable for cash. 12) TheHive.Asia reserves the right to revise the Terms and Conditions without prior notice.